Programs in this core area empower youth to support and influence their Club and community, sustain meaningful relationships with others, develop a positive self-image and good character, participate in the democratic process, and respect their own and others’ cultural identities. Learn more. Programs in this core area enable youth to become proficient in basic educational disciplines, set goals, explore careers, prepare for employment and embrace technology to achieve success in a career. Learn more. Programs in this core area develop young people’s capacity to engage in positive behaviors that nurture their own well-being, set personal goals and live successfully as self-sufficient adults. Learn more. Programs in this area enable youth to develop their creativity and cultural awareness through knowledge and appreciation of visual arts, crafts, performing arts and creative writing. Learn more. Programs in this area develop fitness, positive use of leisure time, skills for stress management, appreciation for the environment and social skills. Learn more. These initiatives focus on meeting significant, specific needs that have been identified within the Boys & Girls Club Movement. Because their scope is broad, they relate to or complement several or all the core program areas. Learn more. Attention all military families! 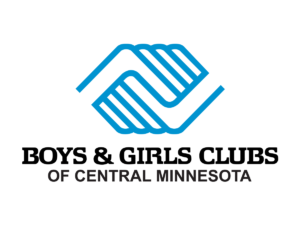 The Boys & Girls Clubs of Central Minnesota is providing FREE Club memberships for families with caregivers who are National Guard, reserve, active, deployed or returning military personnel. Or, if you would like to register your child(ren) for KIDSTOP, we are offering a $10 discount on registration per child, per calendar year. In this time of global conflict, military families need our support. More than two-thirds of active duty military families live off-post. Mission: Youth Outreach provides a powerful, yet easy way to help families under stress. Children in these families face special challenges, from long separations to worries about parents’ safety. These youth need the stability and predictability of Boys & Girls Club programs. They need the caring guidance that Club staff provide. And they need the chance to relax and have fun – all while trying new activities, learning new skills and exploring career paths. Please fill out the Mission: Youth Outreach membership voucher (PDF), save it and email it to club@bgcmn.org or bring it in along with your child’s registration form to your site or the administrative office. For more information on how to register your child for free Boys & Girls Club services, please contact us at 320-252-7616 or stop in at one of our Clubs or KIDSTOP sites.